Dear Ant Killer – I can’t get rid of the ants in the Kitchen of my Townhouse, any advice? Answer: Townhouses are a pain. I dealt with more call backs on townhouse ants than any other problem. The reason is because the walls on townhomes are shared, so the nests are shared and the bugs are shared. Unless you can get the whole complex to join in the pest control, the ants will easily migrate back in. So what can you do? First of all, if the whole townhouse is owned by one owner/investor/landlord, complain about the problem. Have your neighbors complain about the problem. It is so much easier if you can get the problem resolved together than separately. 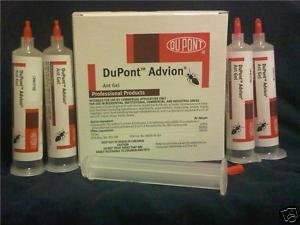 You need the whole foundation of the entire townhouse sprayed as well as Baits and Gel treatments done so that the entire area is flushed of ants. It is almost a waste of money to have your townhouse treated if the neighbors is still a mess. The ants will simply migrate back to yours. 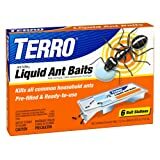 The best advice I can give to a townhome occupant that is dealing with ants is that indoor sprays are not going to be effective. You need to find a way back to the nests and the way to do this is with baits and gels. Without everyone’s cooperation it is difficult to spray the entire exterior of the complex in order to get proper protection from re-entry. So, basically I sympathize with you. Do your best and things will work out with your townhouse ant problem.